“BLUE LAMELLA” including flocculation, rapid sedimentation, slow sedimentation with a lamella settler, sand filtration, activated carbon filtration and chlorination treatment stages. 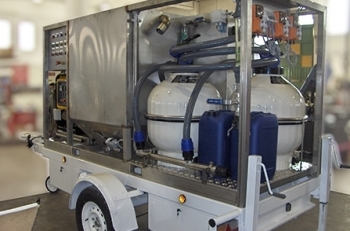 The EMWG “BLUE LAMELLA” is a drinking water treatment plant specifically devised to treat elevated levels of turbidity up to 500 NTU (Nephelometric Turbidity Units). 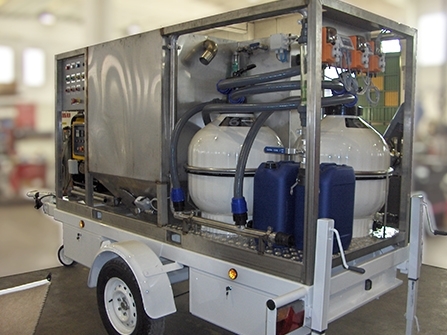 The “BLUE LAMELLA” unit includes a water intake system able to draw from conventional or non conventional water sources such as rivers, lakes, shallow wells, reservoirs, harvested rainwater and groundwater and is designed to produce 3-4 m³/hour of safe drinking water conforming to W.H.O. guidelines. It is ideal for regions where the rainy season bring lots of water but stirs up rivers and dams etc making the water very turbid (cloudy or muddy). 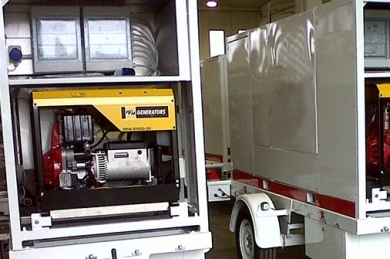 Once it is in the system, the water passes through the following treatment stages: flocculation, rapid sedimentation, slow sedimentation with a lamella settler, sand filtration, activated carbon filtration, chlorination and storage. 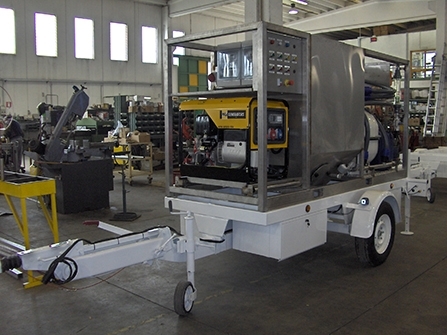 All the components required for the these treatment stages, and the plant operation in general, are included in a compact, trailer mounted system designed to be easily transported to different locations where safe drinking water is scarce or nonexistent. 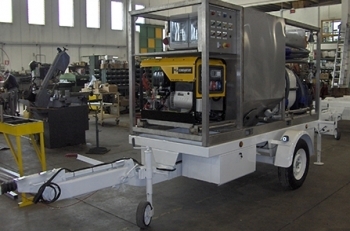 In addition the unit is equipped with its own generator so it can run autonomously. These EMWG BLUE LAMELLA are at the service of the Italian Red Cross, part of the International Red Cross and Red Crescent Societies.